Yes, I know it’s late, but here we go anyway. For January, I decided to make some towels in Swedish Lace. I worked up a simple two block profile draft and then used traditional Swedish Lace threading to make the lace units. I remembered to separate any repeat blocks by adding an incidental thread on shaft 4 for Block A and Shaft 1 for Block B. 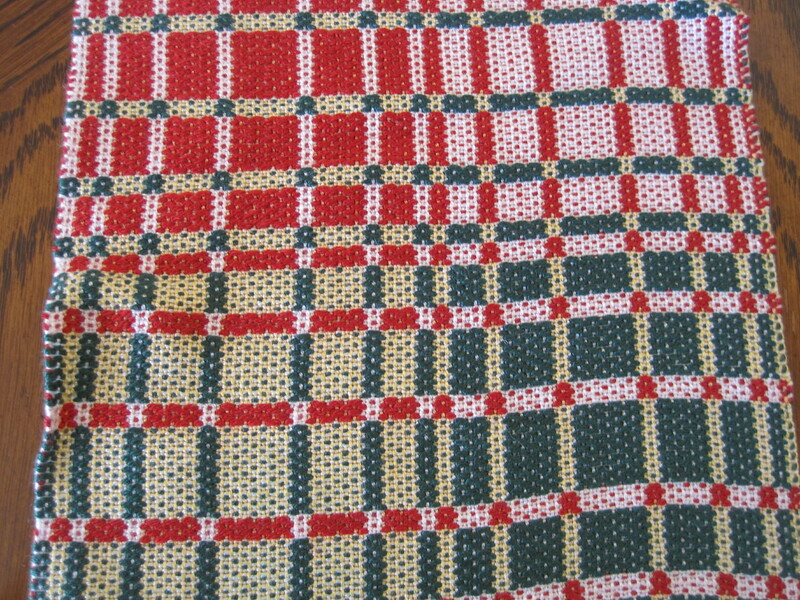 The towels are woven with 2/10 mercerized cotton in snow white for both warp and weft, Sett at 24 ends per inch and treadled as drawn in, also at 24 picks per inch. 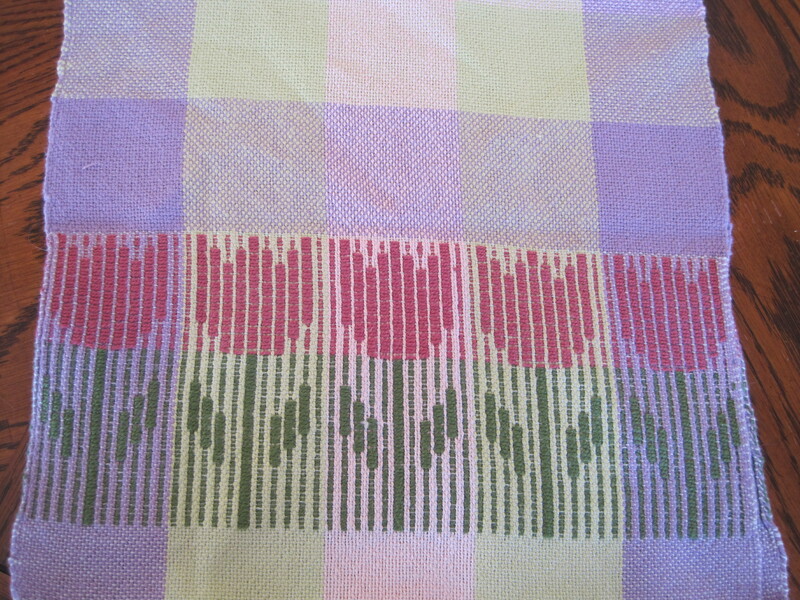 I love the way the towel has the feel of an heirloom textile, even though it just came off the loom. I love the little windows. Handwoven lace is so romantic. This is a formal towel for special occasions. 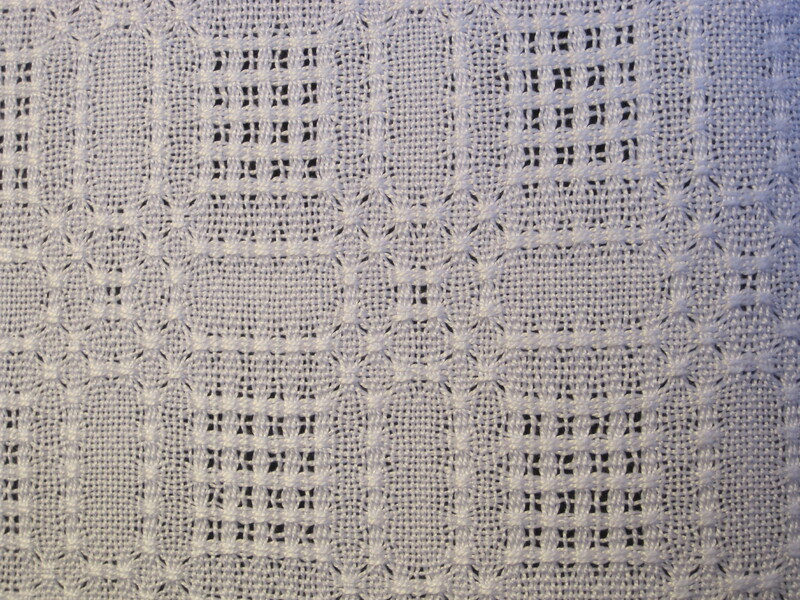 My previous posts show Atwater/Bronson Lace towels in June 2015 and Huck Lace in July 2015. 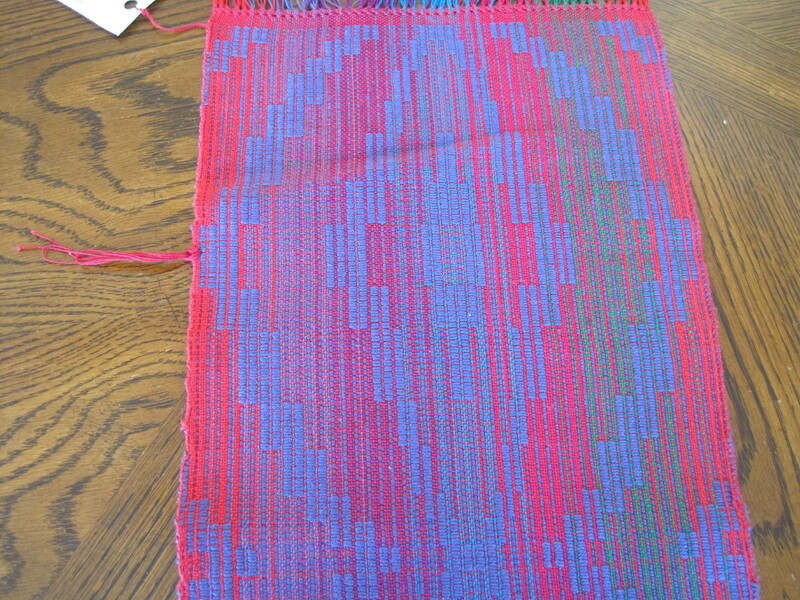 Last week I taught a class on “Summer and Winter Weave” for my local guild. Everyone worked hard to complete the samples, and still had enough warp left on their looms to go home and play some more. Here are just a few of the samples created. Summer and Winter is so flexible, I could get caught up in exploring the possibilities for years. 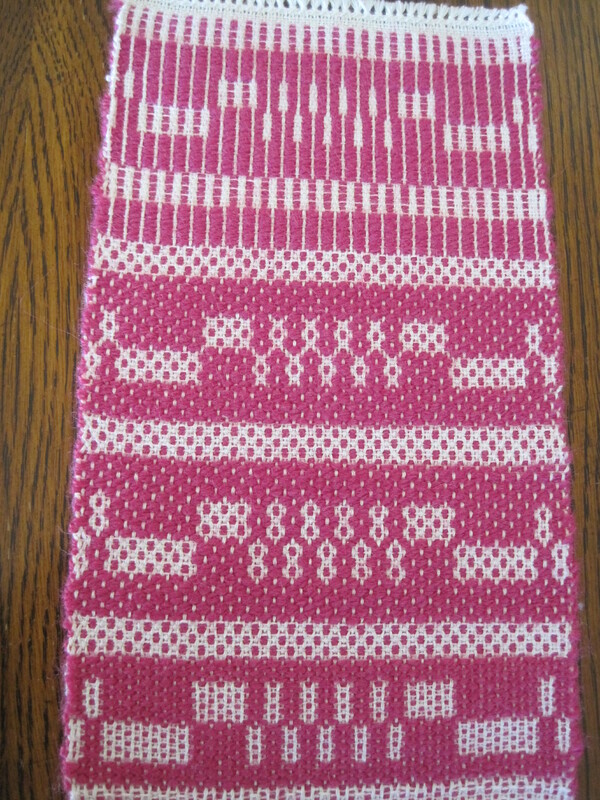 This entry was posted in Weaving, Weaving Guilds and tagged cotton, hand weaving, Handweaving, handwoven, Loom, Summer and Winter weave, Swedish Lace Weaving, tea towels, towel of the month. Bookmark the permalink. Very nice Barb, even if it is late. They look like they are a lot of work. Thanks, Vicki. Not too much work if you love it! 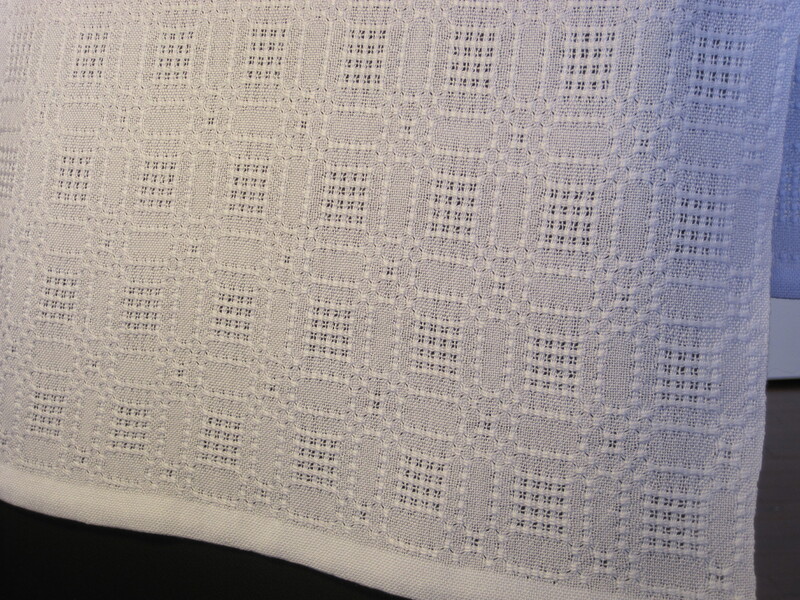 The Swedish lace towels are gorgeous–they DO look like vintage linens! And the Summer/Winter samples are very intriguing. I know *nothing* about this weave structure. Thanks, Kerry. You should try Summer and Winter weave. It is like candy, once you start you want more!